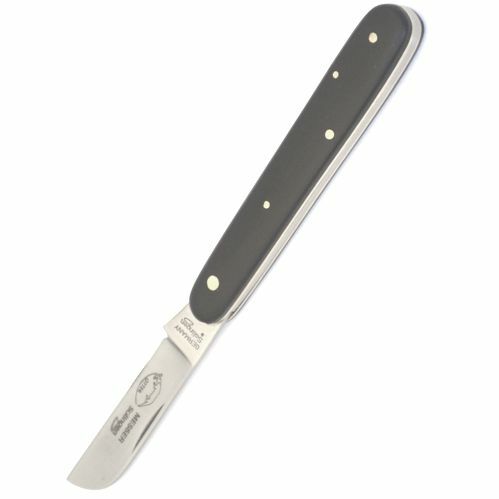 The 6 cm, chisel grind blade is C75 carbon steel, which has a fine molecular structure and gives an extremely sharp, long lasting cutting edge. 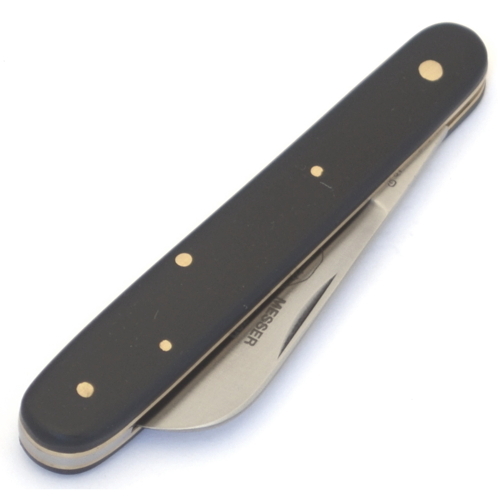 The handle has brass handle liners with synthetic black handle scales. 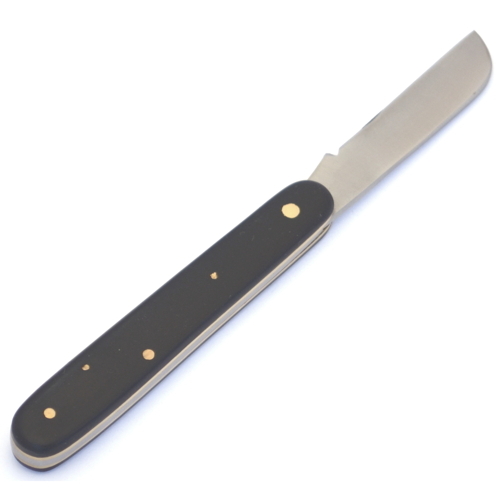 Carbon steel knives need to be cleaned and oiled after use to prevent corrosion. Surface corrosion can be removed with fine emery cloth.